Francesco is an ambitious 22 year-old who loves taking on new challenges. He shares how he uses apps to improve himself on a daily basis. At 22 years old, I have co-founded a few businesses, collaborated with several startups, started my own YouTube channel, and become a contributing writer at Lifehack—all while studying at university. How did I come across so many opportunities? I asked for them. I’m by no means an exceptional student—if Harvard ever called, I’d know they have the wrong number—but that doesn’t hold me back. I’m dedicated to the idea of continuous learning and taking control of my own education. As a result, I keep learning every single day and the most important things that I have learned come directly from from real-life mistakes and lived experiences. I adopted continuous learning in my teenage years and have applied it to my daily routines, helping me to excel in the areas that matter to me. At 15, I started reading a lot of self-improvement books, attending seminars, and looking for guidance from the people around me. From these experiences, I decided that I wanted to lead a certain kind of life: a life that embraces feedback, failure, and personal growth. I have a great appreciation for trailblazers like Steve Jobs and Elon Musk. My passion for continuous learning comes directly from them. I use a range of apps to help me to organize my life and add learning habits to my day with ease. A favourite of mine is the Blinkist app. Blinkist transforms nonfiction books into quick and simple highlights, saving you valuable time and effort. It’s the perfect way for acquiring new knowledge, fast. I use Blinkist in different situations. I kick my day off with a Blinkist read and finish it by completing another. On Blinkist, I enjoy reading business, marketing, and personal development books. There are many options in these categories. At the moment, I’m focusing on reads about startups and branding to help my future professional endeavours. Learning on-the-go is a particularly great feature of the app. I love a good run so the audio versions of the titles are a great help when I’m out and about and are ideal for hands-free learning. It’s your time to shine. It’s really important not to rely solely on the education system to get you to where you want to go. Take control of what matters to you and become the main driver of your future. Whatever you want to accomplish it’s possible with a combination of persistence and hard work. Get started with a 3-day Blinkist trial today and try it yourself. Feel free to tweet me and I’ll happily suggest a few of my favorite titles and other resources that you can use across your day on your continuous learning journey. 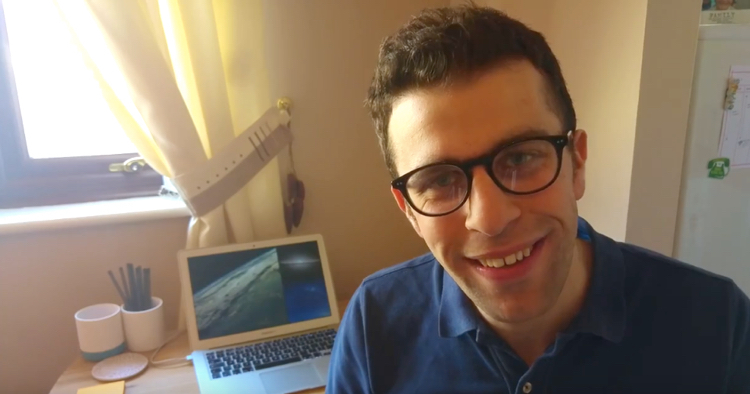 Francesco is an avid fan of productivity apps and sharing his recommendations via YouTube and his Medium blog. He works for start-ups Newton & FlashSticks while completing his university degree. He loves walking, running and spending time in independent coffee shops.